[Studyrins?]. We took a long ride after we left there. Otto spent the evening with the folks at home. 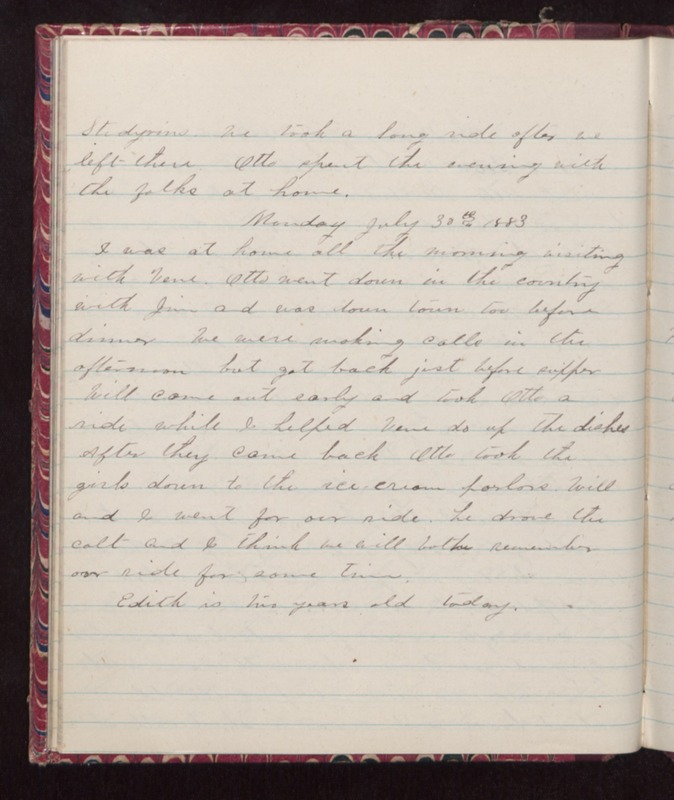 Monday July 30th 1883 I was at home all the morning visiting with Vene. Otto went down in the country with Jim and was down town too before dinner. We were making calls in the afternoon but got back just before supper. Will came out early and took Otto a ride while I helped Vene do up the dishes. After they came back Otto took the girls down to the ice cream parlors. Will and I went for our ride, he drove the colt and I think we will both remember our ride for some time. Edith is two years old today.